Home » Blog » Adventure Yogi » Yoga Retreats vs Spas… What’s the Difference? Yoga Retreats vs Spas… What’s the Difference? 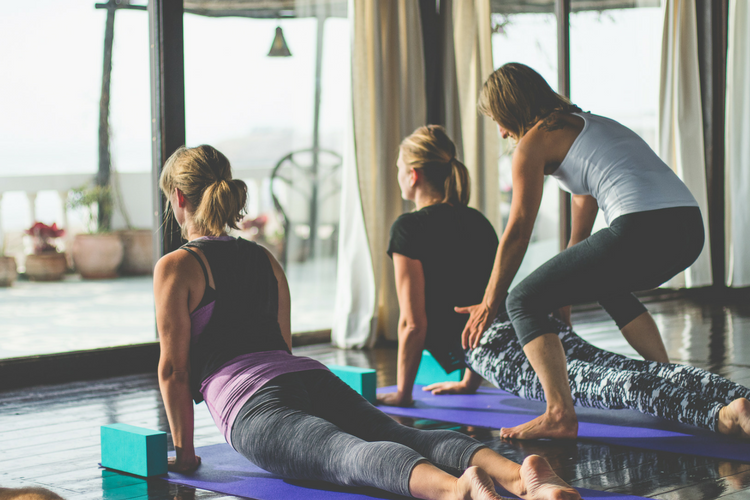 Here are 6 reasons why a yoga retreat is different to a spa experience – choose the right one at the right time for you. 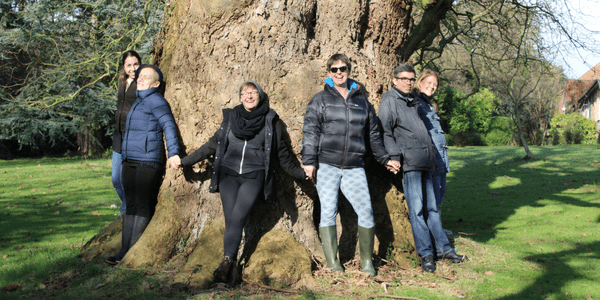 Yoga Retreat: In our ever increasing growth of technology in our society, people are becoming more and more disconnected and finding it easier to communicate through Facebook, Snapchat, Instagram, email or text. People are also getting busier even though technology has been created to make things easier! A yoga retreat is an opportunity to connect with like-minded souls; who love yoga and a healthy lifestyle; or are beginning their journey on this path and are exploring. You book on a retreat knowing there will be 12 or so strangers that you will spend the weekend / week with and possibly meet new friends for life. Spa: A spa experience is entirely different. It is more like staying at a hotel, with a spa to relax in and then a room to enjoy a meal in. This is all really lovely, but the guests all stay quite separate either with their partner or friends or family members. This is also a lovely experience, but there is no real connection with other groups – which is actually a reason to go to a spa too, to relax and switch off with close friends and loved ones. 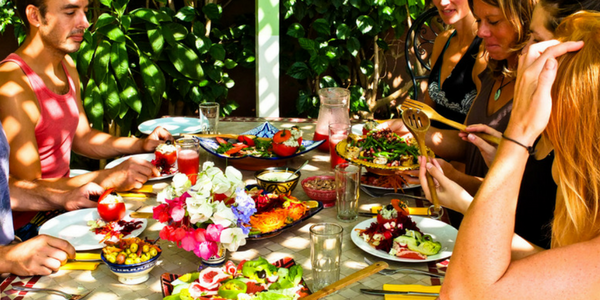 Yoga Retreat: Depending on which type of retreat you go on, the food will be tailored to that particular style of retreat. For us at AY, our food is predominantly vegan but with some dairy thrown in for vegetarians. We are also sugar free and cater for food intolerances so the food will be low (or no) wheat, gluten and dairy. If you are going on a fitness retreat, they will have more focus on a paleo diet style. A lot of guests are nervous, not knowing what to expect and think that they won’t be fed enough food or they will miss the meat they are used to eating. Most are amazed that vegan food can look and taste so good and these days there is so much choice for vegans – not like 10 years ago when it was very uncool to be a vegan. On some retreats it is alcohol free. For us at AY, our weekend retreats in the UK are alcohol free but our holidays abroad aren’t, so if you would like a drink – you are on holiday! Spa: At a spa the food is of an exceptional standard, there is a menu where you can choose your dish and you will be wowed, but it may be more indulgent than healthy! And there is a large wine list to choose from! You can also have an alcoholic drink at any time – even in the spa! Yoga Retreat: Part of being on a retreat is enjoying extra activities as well as the yoga classes. This is an opportunity to meet others and have a good down load about life, the universe and everything. The walks are my favorite time on retreat to get to know our guests. The workshops are also engaging and entertaining and can bond a group. The yoga does this via the guidance of the teacher, encouraging each person to be open to the changes happening in their body and mind and to be open and receptive to them. Spa: Although a lot of people will be enjoying the spa facilities, it is very much in a respectfully distant way to the other guests. Again, this is what you go to a spa for, to switch off and enjoy the company of the people you have gone with. Yoga Retreat: This is an obvious difference! On a yoga retreat you obviously benefit from lots of yoga. But why do you want to immerse yourself in so much yoga? It’s deeply relaxing – longer relaxation sessions on a retreat. Eases tension in the musculoskeletal system. Focusing on the breath enhances a calm mind and balances emotions. Release stored up emotions that no longer serve you. Immersion with the yoga teacher whose expertise will unravel your body and mind. On a retreat the yoga works on a very subtle level. There you are, stretching, lengthening, strengthening, breathing, relaxing, listening to the yoga teacher’s words of wisdom… And then after a few days suddenly a surge of unknown emotion starts to well up. Difficult emotions may rise to the surface and you may not know what to do with them if they are making you feel uncomfortable. Just let them come up. Be brave by being vulnerable. Be that spiritual warrior, face your demons; your deeper possibly more ugly parts of your character that you keep hidden. Face them and by doing so you grow stronger, more accepting and a letting go starts to happen. This is when the real work is done – your transformation! Allow it to happen; don’t be scared. Your retreat team is there to support you, to hold the space for you. They have seen it many times on retreats and know how to manage it. Give in to their support and wisdom. Spa: You may be able to pay extra for a 1:1 yoga class but the teacher won’t have enough time to really get to know you and tap into what you really need. There won’t be much depth if that is what you are looking for. Yoga retreats quench that thirst for soul searching. Yoga Retreat: A retreat is called a retreat because…you guessed it…it’s time to escape, away from the reality of the day to day. They can come in all shapes and forms. Stately homes, converted barns, old stables, shepherds huts, B&B’s, villas, chalets, bell tents. Each type of accommodation has a communal space, which is social. You dine altogether and even muck in with the dishes (karma yoga – another aspect of the practice of yoga, AKA selfless service – doing something with no expectation of reward). The rooms can be mostly twins, so two people who don’t know each other share a room, again re-iterating the sense of community and sharing that retreats offer. There may even be triple or quad rooms. You may have to share a bathroom with more than 2 people. Spa: Like a hotel, you book a room and don’t have to share it with a stranger! You have an en-suite bathroom just for yourselves too! Dining is done hotel style with your own table and you probably won’t converse with anyone off your table. 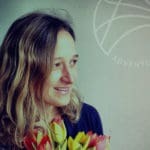 Yoga Retreat: If you have never been on a yoga retreat before and you don’t know what to expect it can be a bit scary. The unknown. What if they make me do something I don’t want to? What if everyone is really weird? What if I don’t like the yoga? What if they make me sing, or stand up in front of everyone and talk? There are different retreats for all the different kinds of people. Our retreats are very accessible to everyone. They are fun, lighthearted, yet supportive and knowledgeable. We take the yoga seriously during the classes and the food seriously when creating the menu plans. But when it’s down time, it’s time for you, to relax, to switch off and just be. We have no expectations of you to do or be anyone except yourself. Spa: You know what you are going to get with a spa. The daily activities, the food and the rooms are all pretty predictable – they’re really lovely and a real treat, but very known. 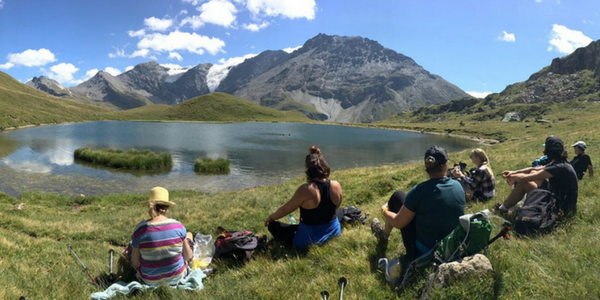 So now you can see more of what a yoga retreat is and what to expect – especially with us, AdventureYogi. We hope you can join us one day to experience all the above and make it a predictable part of your lifestyle. Read about how to make the most of your yoga retreat here. Check out our calendar here for retreat/holiday dates!